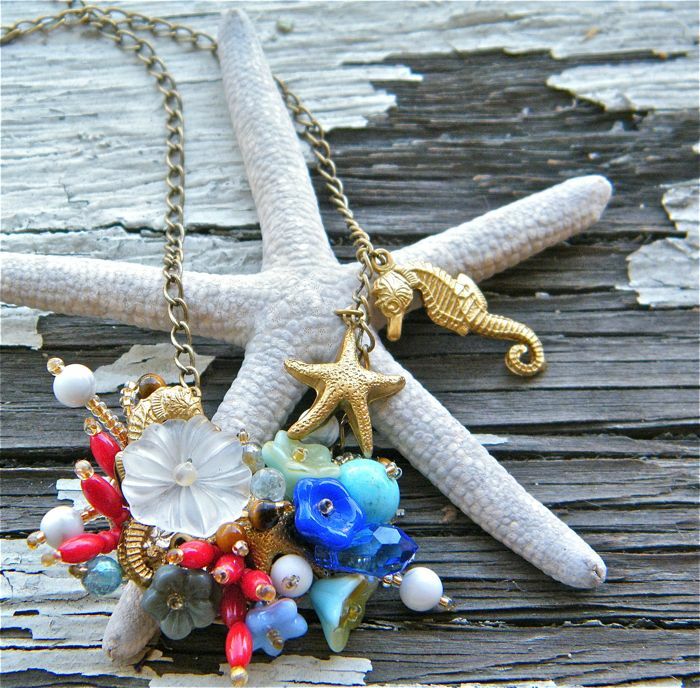 This Necklace is made out of Red Coral and Vintage Charms. I hope you will add more charms every Summer with your pleasant memories. This necklace is drop-dead gorgeous. So is the matching ring. I love the ocean, and corals are a beautiful reminder of summer and the beach.